Swipe Elite 2 4G Review: Searching For Decent 4G Phone? Swipe Technologies introduced its first 4G smartphone to the world that is “ELITE 2“. As we follow the trend and looks for more advanced technology, it is one of it. These days from students to a businessman wants and needs a 4G smartphone so that they can have a good access to the internet with high speed. 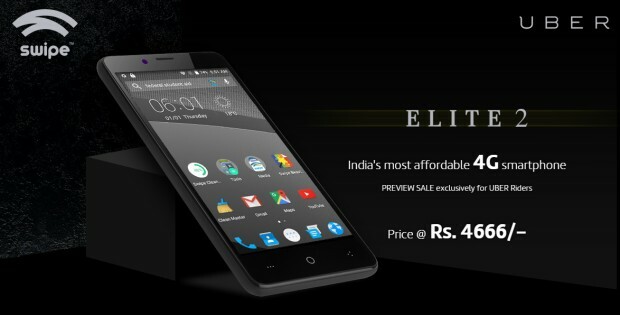 ELITE 2 (4G) smartphone has Android 5.0 Lollipop Operating System. It is a decent operating system to run a smartphone device. This smartphone runs on a 64-bit 1.3GHz quad-core processor with 1GB RAM, and it has inbuilt 8GB memory that is expandable up to 32GB. It has 1 GB RAM. Swipe ELITE 2 smartphone has a front camera of 5Mega Pixels and Rear Camera of 8MP. If you are fond of making videos or clicking pictures for personal or professional usage, you can choose this Swipe ELITE 2 4G smartphone. This phone has Flash and LED features too. Media Player supports MP3, Amr, Wav, AAC files & Video Player supports MP4. This smartphone has got plethora features like it has a clear display screen of 4.5inches with Dual 4G SIM feature & Bluetooth 4.0 with 1900mah battery capacity. If we talk about internet setting then GPRS, EDGE is available in it and a network of 2G, 3G, 4G/LTE runs in this Swipe smartphone. Pros are many which can be seen by knowing its specifications in the smartphone category. There is no doubt that Swipe technologies have presented a good 4G smartphone at a reasonable rate. Swipe Elite works fine; as a multimedia device, though it hasn’t set any benchmark tests on fire yes, you won’t face app crashes or any issues regarding the performance of this smartphone. It has got an excellent display screen that works decently in day and night. People can watch videos, movies, YouTube with good quality. Battery capacity is a robust suite in this Swipe ELITE 2 (4G) Smartphone. Swipe Search helps to find local files and the Internet in seconds. Dual Sim facility is awesome for those who uses two numbers. Freedom OS’s customization is confusing. You may find some problem in deleting any app and getting it back. Especially if you are a one-time user of the smartphone. The Swipe custom launcher seems pointless because even on trying to activate mobile data by tapping on it, it doesn’t work. In a nutshell, if you are looking for a decent 4G Smartphone at reasonable amount then, it’s a great deal for you. You can grab this on Flipkart right now. This is indeed a good decent looking smartphone with reasonable battery and yes, 4G is the future. Smartphones are Smart, But Are They Fast? Yes, Thanks to 4G! Entrenched in hostility, unable to justify & explain it. Although, it suffices info about me to you. Indeed, I acknowledge your query. 1 Comment on Swipe Elite 2 4G Review: Searching For A Decent 4G Phone?